other food choices from Windy City Grille. We have a large selection of appetizers, burgers, drinks, sandwiches, and desserts. 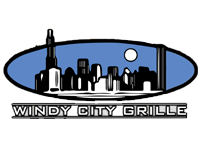 Windy City Grille is a restaurant and bar that has been serving Chicago-style pizza and other dishes for more than 10 years. We are located in Hernando and in Como, Mississippi. Providing fresh, mouthwatering food is our specialty, and we make sure there is always something new for everyone in our menu. Our chefs offer a lot of food choices. Dine in a relaxing environment that is great for groups and kids. Contact our bar today in Como, Mississippi, to learn how you can order our delectable Chicago-style pizza.